Poker in the region has been through its ups and downs over the past decade. The game burst onto the mainstream scene when local Melbournian Joe Hachem won a gold bracelet in the WSOP main event in 2005. Live and online tournaments then began to flourish. Years later, the market has matured and seen some decline and consolidation as pub, club and casino operators worked to enhance and justify their poker offerings. In most recent times, online poker in Australia has found itself in jeopardy. Being able to play for money online could soon be a game of the past as the government is considering shutting it down through the Interactive Gambling Amendment Bill. There is much uproar in the industry and even vocal organisations have popped up to lobby those in power to save it. 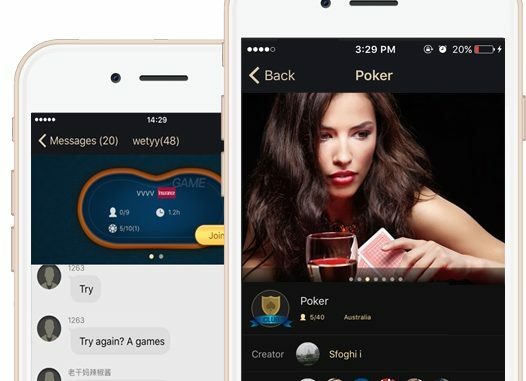 While online poker is in danger, the flipside may well be the provision of opportunity for the likes of app developer Illuminate, who have been enhancing their PokerMaster product over the past couple of years. PokerMaster is an app based poker product that is free and easy to install for both iOS and Android devices. The app allows you to hold private games and tournaments with friends, giving you your own customisable home game. Now at version 2.4.6, the most recent major enhancements include an additional rabbit hunt function, and brand new tap results display. A further enhancement in late March is also due where multi-table tournaments will be enabled. When this occurs we’ll provide updates about those features. Developers Illuminate are working hard to build a social poker community around their product. With the ability to play a variety of formats of Texas Hold’em poker, there is now an option to play the increasingly popular pot-limit Omaha. With the issues facing online poker, players can feel safe and secure, as the app does not function from real money play. The app is popular with those who have been lucky enough to find it! So now you’re in the know, check it out. – Sit-and-go tournaments, 4 different modes, easy to set up and exciting to play. PokerMaster would love your feedback! PokerMaster is certified by Gaming Laboratories International. This product does not offer "real money gambling" or an opportunity to win real money.